Email can be a very effective marketing and relationship-building tool for dentists and dental clinic owners, but it is important to do it the right way. After all, you’ve worked hard to develop an e-mail list of past patients and prospective new patients. Thoughtful and well-planned email marketing is an effective tool to help existing patients and potential patients to respond positively to your services, products and promotions. It’s also a powerful method for generating referrals from friends and family. 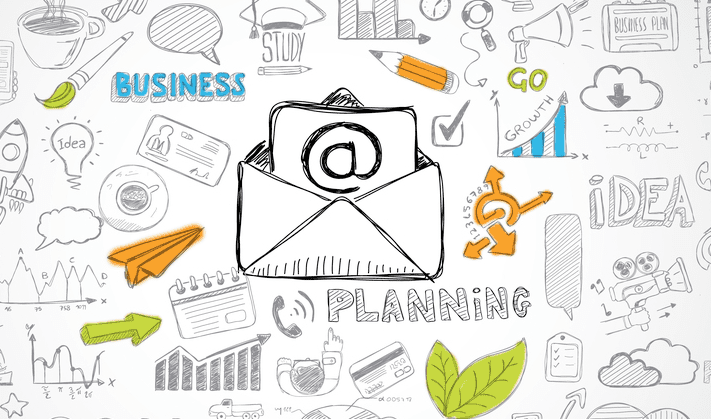 Email is a great marketing tool for dentists and dental practices. But emails only work…if they actually receive them! Most email apps use a variety of techniques to identify email that appears to be an unwanted solicitation. If you want your email to avoid this trap, you must have the patients on your email list properly “opt-in” (and some email services require “double opt-in”) in order to assure that the emails you send to your list comply with various laws and regulations. But even if your list is fully compliant, the way your email is written will make a huge difference in whether it is labeled as “spam” or not. Email marketing is hard work. You don’t want all that time and energy spent creating a promotion to go to waste. According to studies by Mail Chimp, medical, dental and healthcare emails have an open rate of only 22.77% on average. When opened, only 2.56% of readers will click on the special offer. A well designed and skillfully written email should get better results than average. The subject of an email is what differentiates opportunity from spam. Avoid sounding like a commercial. In other words, don’t sell us what’s inside, tell us what’s inside. Understand what your market wants and highlight that. Since the subject of the email determines if the rest of your email is read, it’s important that you get it right. Many email systems; especially those on mobile devices; do not display more than the first few words of a subject. If the important words come at the end of a long subject, your email might not be clicked. Even if the subject is displayed completely, many people just gloss over the first words and decide to read them or get rid of them based on those words. 3. What is your email about? Does your email have a clear purpose? Make it useful. Is it a reminder about a check-up or an appointment that’s coming up? Is it a list of tips or helpful suggestions about a recent dental implant procedure? Is it a recommendation about how to deal with a problem or how to care for teeth? Is it a promotion that builds on a previous sale or recommendation? Be clear and deliver on your promise. This point is closely related with the previous one. If you are a dentist and you send your patient an email that reminds them that it is time to get a crown for their dental implant, that email isn’t going to work for the patient that needs a root canal or veneers. This means that you’re not going to be able to write a single email and send it to everyone with different patients’ names. On the other hand, you are showing a patient that he or she is a valued relationship, not just a nameless customer. What you lose in volume, you will make up for in quality sales growth, based on personal relationships. Please do not send a text paragraph to your email recipients. Use templates and images to make your email more inviting and visually appealing. On the other hand, do not make it so data heavy that it takes too long to load. If you can’t see it in 2 seconds, it’s not worth adding a second or third image. Adding a video link is also a great way to build interest. Make sure you use a good quality video. No one wants to see videos developed by your 14 year using an iPhone. 6. Make it shareable on social media. If you plan your email correctly, you have a higher chance of getting it read. But if it is highly appealing also have a higher chance of getting it shared. Don’t hope that the reader will copy your link and past it into social media posts. Add links or share button that help them do this job so that he or she will be more inclined to tell friends about your services. Just because someone is asking you to stop sending email doesn’t mean that you’ve lost them as a patient. It may be that they’re busy or they are not interested at this time. However, if their last visit had been satisfactory, they will think of you next time a dentist is needed. Sending them more mailings after they have explicitly told you to stop is just going to alienate them. There is no reason you need to take a hit or miss approach to using email. Get professional help planning auto-responses, follow-ups and practice-building campaigns that are integrated with your overall branding. An experienced dental marketing firm can help you get the most from your email list and grow your dental practice. - How Can You Increase Your Email Click Through Rate by 200%-300%?